Join Mary for this three day camp... a chance set up your machine once and come in three days to work on the project of your choice. Start something new or finish up a project still in progress! 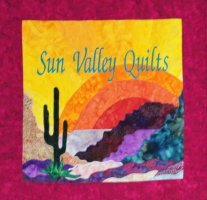 This group for those interested in more modern styles of quilts. Everyone will be working on the pattern of his/her choice. A good pattern line to get started with is Jaybird Quilt designs. Mary will give you instruction and encouragement as needed. This is an ongoing group with enthusiastic people who welcome newcomers at any time.